Homes for sale in the Berkshires. Great Barrington, Stockbridge, Lenox and Williamstown MA all in the Berkshires and all homes on our site. Looking for your next home in the Berkshires? Interested in learning more about a home just email us using the "contact us" button. 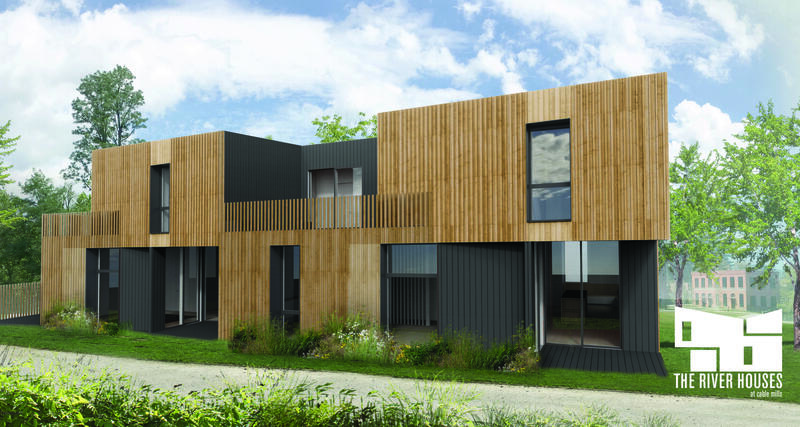 Berkshires Condomium- Contemporary cutting edge design that will make Berkshire Living everything and anything but the ordinary. Middle School Mount Greylock Reg. High School Mount Greylock Reg. Berkshire Property With View - Anyone Who Knows The Berkshires and Williamstown MA will tell you that Stoney Ledge Road Is A Premier Location. This is the Home You Have Dreamed of. 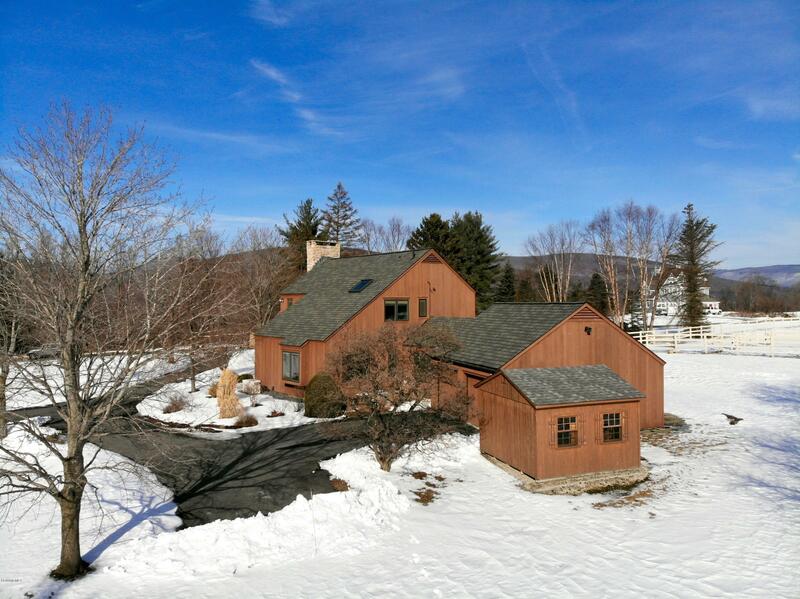 Northern Berkshires property on the market in Williamstown, MA. Everything you have always wanted in a home located in a spectacular country setting very close to town center. Enjoying 3 acres with gorgeous mountain views in every direction, this refined contemporary offers a perfect floor plan including combined living, dining and kitchen plus a ground floor bedroom/office, laundry and full bath. The principal bedroom with en suite bath and dressing closet and two other bedrooms and bath are on the second floor. A full basement and two car attached garage complete the interior spaces. Fabulous Cedar Siding adds to the eye-catching appeal of the residence and barn. A peaceful private stone patio, mature fruit and ornamental trees and perennial landscaping provide a multitude of reasons to live outdoors in the warm season. There's a three-stall barn ideal for horses or conversion for other uses. Five minutes to all the town attractions. Portfolio download is here. For the special people in your life who love horses can you afford not to look at this property? Who says you can't win them all? With this property you have acreage, a fabulous residence, storage everywhere, pastures and barn in a location that is money in the bank. Historic Bennington Vermont nestled in the Green Mountains of Vermont. A small town with a friendly atmosphere and plenty of history to go around. Known by Vermonters as the Southern Shires. The Bennington community is a New England town nestled in the Southwesternmost corner of Vermont. The geographic designation may be Bennington County but in recent years residents and visitors alike have come to affectionately call this area, the Shires of Vermont. This beautiful region between the Taconic and Green Mountains has the unusual distinction of having two “shire” towns, traditionally referred to as county seats. Anchored by Bennington, the South Shire, and Manchester, the North Shire, the region is a collective of 15 quintessential Vermont towns and villages connected by a scenic ribbon of highway known as Historic Route 7A (now the Shires of Vermont Byway). Surrounded by Vermont’s famous mountain range and enriched by the many waterways including the Battenkill and Walloomsac, The Shires of Vermont is world-renowned as a four-season destination for those seeking the authentic Vermont experience. Equally attractive to both residents and visitors of the area is the relative closeness to major metropolitan areas including New York City, Hartford, Boston, Northern New Jersey, the Berkshires and Canada. Already united by a common sense of place, history and culture, the region also possesses abundant recreational resources, a proud agricultural heritage and a robust entrepreneurial spirit. A wide range of culinary, lodging and shopping experiences await curious travelers along our highways, byways, country roads, on mountainsides and busy Main Streets. The people of The Shires of Vermont look forward to welcoming you to this place we call home. Historic Bennington Vermont nestled in the Green Mountains of Vermont. A small town with a friendly atmosphere and plenty of historyto go around. Known by Vermonters as the Southern Shires. The Bennington community is a New England town nestled in the Southwesternmost corner of Vermont. The geographic designation may be Bennington County but in recent years residents and visitors alike have come to affectionately call this area, the Shires of Vermont. This beautiful region between the Taconic and Green Mountains has the unusual distinction of having two “shire” towns, traditionally referred to as county seats. Anchored by Bennington, the South Shire, and Manchester, the North Shire, the region is a collective of 15 quintessential Vermont towns and villages connected by a scenic ribbon of highway known as Historic Route 7A (now the Shires of Vermont Byway). Surrounded by Vermont’s famous mountain range and enriched by the many waterways including the Battenkill and Walloomsac, The Shires of Vermont is world-renowned as a four-season destination for those seeking the authentic Vermont experience. Equally attractive to both residents and visitors of the area is the relative closeness to major metropolitan areas including New York City, Hartford, Boston, Northern New Jersey, the Berkshires and Canada. Already united by a common sense of place, history and culture, the region also possesses abundant recreational resources, a proud agricultural heritage and a robust entrepreneurial spirit. A wide range of culinary, lodging and shopping experiences await curious travelers along our highways, byways, country roads, on mountainsides and busy Main Streets. The people of The Shires of Vermont look forward to welcoming you to this place we call home. This remarkable property offers much more than would be typical: here are the main features: Gorgeous setting and view across the road to the small lake in front and to a pond, woods and mountains to the rear; huge deck facing the mountains; spacious 1986 12 room 5 bedroom colonial style home of 3,400 SF includes a finished basement rec room with hot tub. Some furnishings could be negotiated in order to make your move in so much easier. Located half way between Williamstown, MA and Bennington, VT, either are just 15 minutes away. Skiing, hiking, golf, world class art museums, hospitals, theatre, boating....need we say more?! Come enjoy VT! Acreage in Western Massachusetts. Farmland For Sale with Residence and Barns. Great Opportunity Horse Property or Farming. This home offers the rare opportunity of small scale farming on just under 100 acres that provides privacy, scenic views, and plenty of southern exposure for solar considerations. Located conveniently from shopping, medical facilities, and cultural venues, this home offers a considerable variety of activities and hobbies to explore! Besides the completely renovated (1992-6) 3 bedroom home, there is a useful and picturesque barn and separate three car barn/garage. This move-in ready home passed inspection with flying colors and is ready for you to call it “home!” Farming or raising livestock or hosting horses all can be done on this 93 acre farm in the Berkshires. With a farm house, barns and 3 car storage barn you have room to grow. See the aerial video link at the top of this page to take a fly over of the land and see the spectacular beauty offer in the Berkshires. This farm is perfect for your needs. Small scale farming is possible here if that's your dream. The totally renovated farmhouse is in near perfect condition with new heating, new wiring, new insulation, new kitchen, gleaming wood floor and thick carpet, new generator, 3 bedrooms, 1.5 baths, dining, large kitchen spacious living room, sunny sun room. 1 car under and 3 car detached garage, and antique barn. You’ll find your ideal New England colonial right here in this picturesque Vermont village setting just a few steps from the popular local church and a few more steps to the elementary school and town offices, just 15 minutes to North Adams, 25 minutes to Williamstown, 45 minutes to a huge lake for boating and 60 minutes to some of the best skiing Vermont has to offer. The comfortable well cared for home offers a family room, eat-in kitchen, dining room, living room with wood burning fireplace, den, laundry and full bath on the main floor, 3 BRs, full bath and office or nursery on the second floor and a finished third floor perfect for a home office, hobby rooms or easy access storage. The full basement offers the option of heating with an oil-fired boiler or optional wood fired boiler. There are three garage stalls built into the wonderful barn with loads of room for anything and the spacious yard will allow for family, friends, gardening plus the in-ground pool will be a focal point all summer long. The furnishings may also be purchased. Comfortable and inviting every season of the year, inside and out. Come see this ideal home for yourselves. You will be impressed and who knows, this might be your ideal home too! Southern Vermont Log Home. Luxury inside and out! Southern Vermont Log Home. A permanent vacation ten minutes away from everything, but not too near anything. 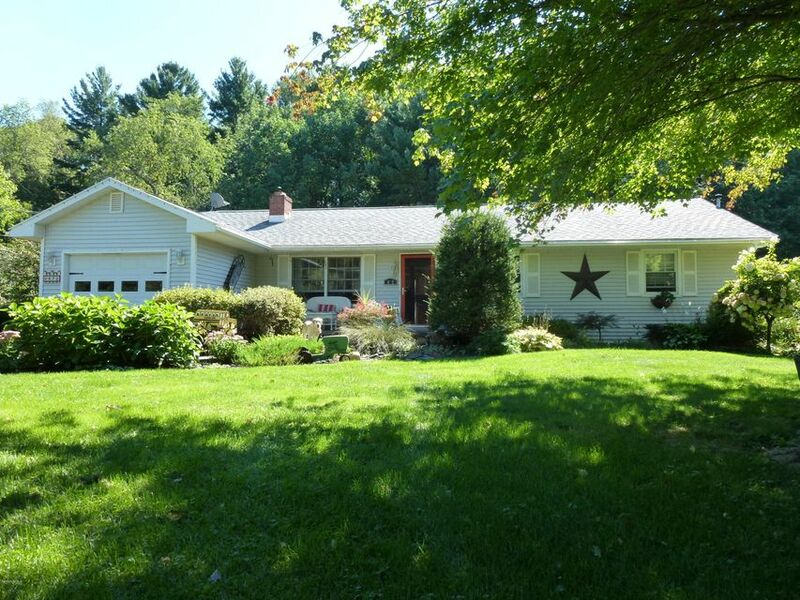 This 1986 comfortable country home is surrounded by 5 acres of lawn and woods. With 2000 square feet of finished living space, 3 bedrooms, and 2 full bathrooms, there's plenty of room for family and friends plus the sizable deck for lounging in the sun and gazing at the Vermont mountains changing with every season from green to red to white. The open first floor plan includes the spacious fully applianced kitchen with gas range, dining area and cathedral ceiling living room with wood stove to warm those crisp fall and winter days. The main floor includes 2 BRs and full bath and a third BR on the upper level with its own bath. The lower level includes a huge family room, office, and laundry/utility/ storage room with washer & dryer. Gas fired furnace and hot water heater. Whether for weekends or weeks on end, this could be everything you are looking for! 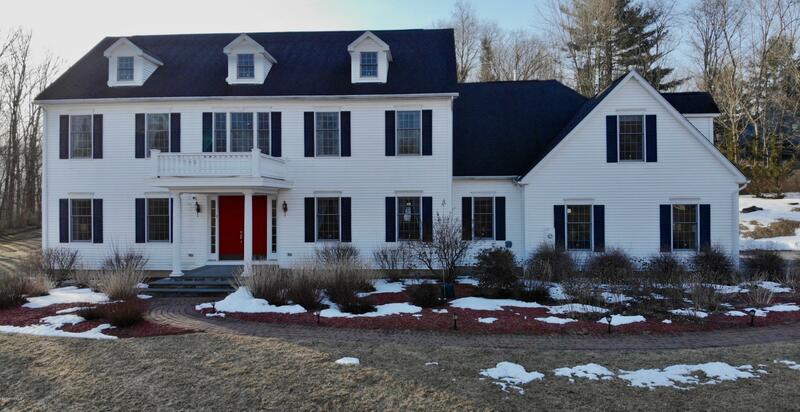 Affordable colonial style home in Williamstown MA. Almost a half-acre blesses this 3-bedroom, two story colonial in a quiet, close to town center, neighborhood. Many updates and upgrades make this move in ready. The kitchen features granite counters and new flooring. Brand new neutral grey wall to wall carpeting downstairs and wood laminate upstairs. You’ll enjoy the “rocking chair” front porch or sun yourselves on the open side deck. One car garage or barn will fit all that extra stuff. This charming home also includes a garage. If you provide feed you will enjoy daily visits by the deer and of course birds are always happy to join you as you sit under the old apple tree. Mature shade trees for summer comfort. Plenty of perennials grace the front and back of this home. You will be just a short walk around the corner to the Broad Brook School Park for your summer evening strolls. 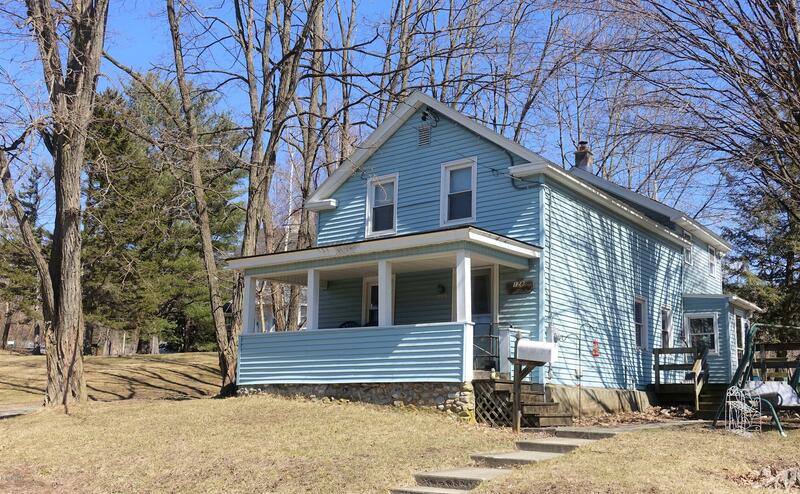 All in all this is the best deal in town if you are seeking an affordable home in Williamstown MA. 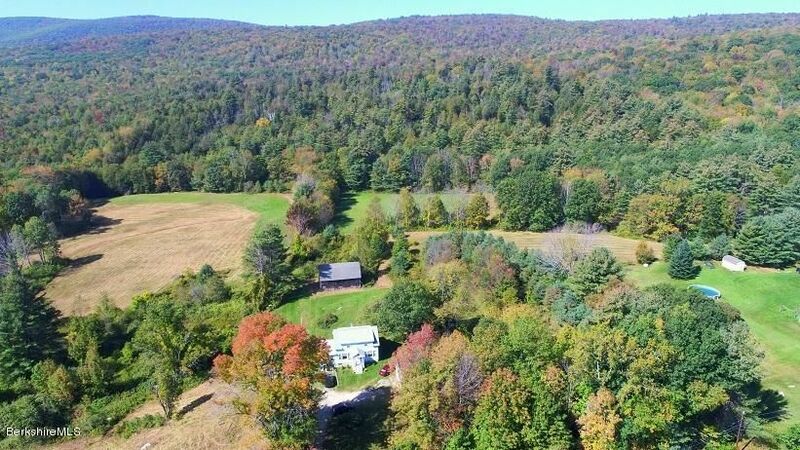 Home For Sale in Southern Vermont with 10 acres. Lake Whitingham and Wilmington VT are just 20 minutes away. Wonderful Opportunity to enjoy 4 wheeling and snowmobiling! Set in a sun-filled clearing by a brook, this cape-styled home features beautiful front and rear covered porches so one can fully enjoy the scenic views, tranquility and privacy of this 10.1 acre setting. Summers are fabulous in the Green Mountains and winters provide skiing, snowmobiling in abundance. Located only twenty minutes to bustling Wilmington, VT and Lake Whitingham, and only 35 minutes to the ski slopes of Southern Vermont, this home is the best for all seasons! Take a 3D tour now- https://my.matterport.com/show/?m=b7R56vwVFuc&utm_source=4 PRICE REDUCED! Offers strongly encouraged! A picture book home set in a sun filled clearing by a brook. Featuring beautiful front and rear covered porches to relax on shaded from the summer sun or light rain so one can fully enjoy the tranquility and privacy of this setting. The large unfinished walkout basement is ready to be fit to your lifestyle and interests. Two fireplaces - one gas and another wood burning - will add to your enjoyment year round. With 3 BRs and 2.5 baths, you have room for friends and entertaining. Summers are fabulous in the Green Mountains and winters provide skiing, snowmobiling in abundance. Nearly new, set away yet not more than twenty minutes to bustling Wilmington, VT and Lake Whitingham, 35 minutes to the ski slopes of Southern Vermont. The best of all seasons! The large deck and pool are where you'll spend your summers and the cozy wood burning fireplace and pellet stove will warm your toes in winter. This expanded ranch has it all, with open living/dining/kitchen, three bedrooms and family room on first floor plus loads of finished living in the lower level. 2/3 acre of lawn and landscaping, paved driveway. Great home ready for you!